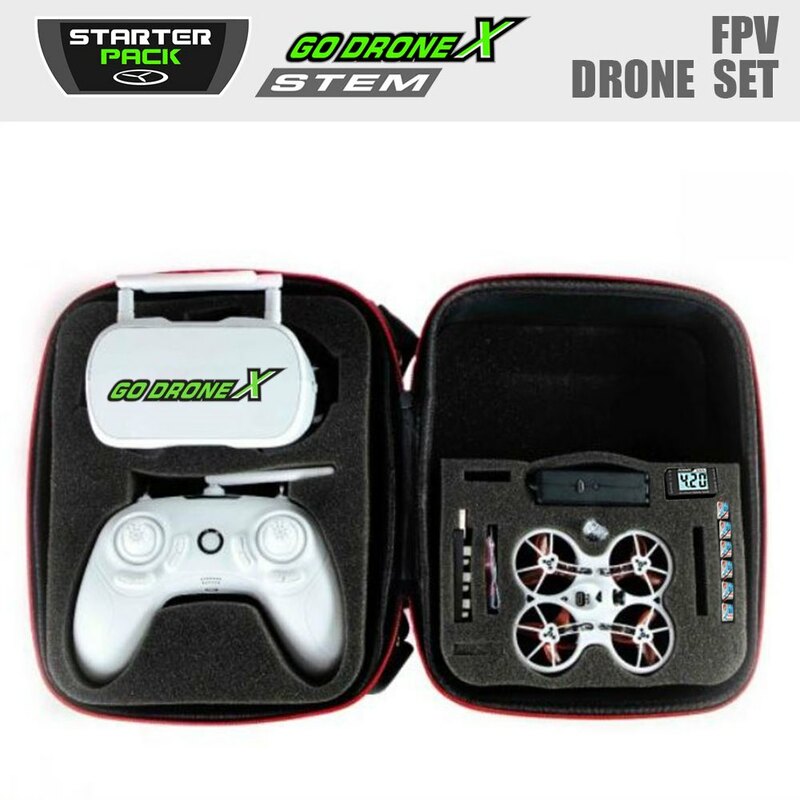 This kit has everything you need for FPV basic flying including extra batteries, charger and props. For additional support parts purchase the Spares Kit that will have more props, a frame and 2 motors. This FPV drone is the sweet spot for beginners and Varsity warriors. With a flick of a switch we can change the handling. These drones also have On Screen Display where data overlays the FPV image with info such as battery voltage. 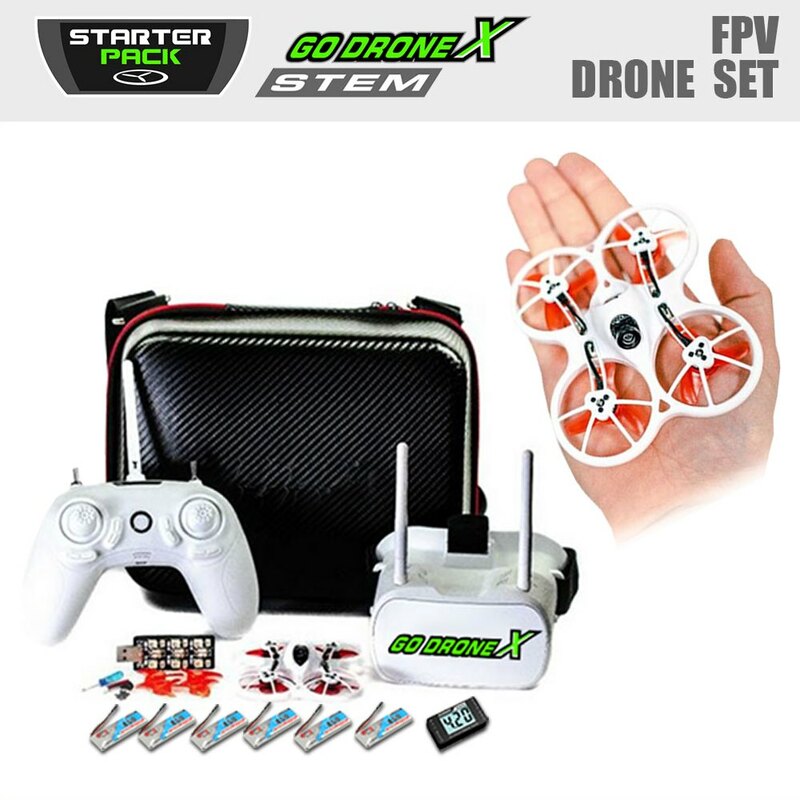 GoDroneX’s free Jump Start tutorials are fantastic for learning in a highly structured process that virtually eliminates drone damage caused by a beginner. Just do what the video say. The better you follow the words of wisdom the less Spares Kit you need to buy.